Homestyle BBQ’ing with a 4.0 Taste. 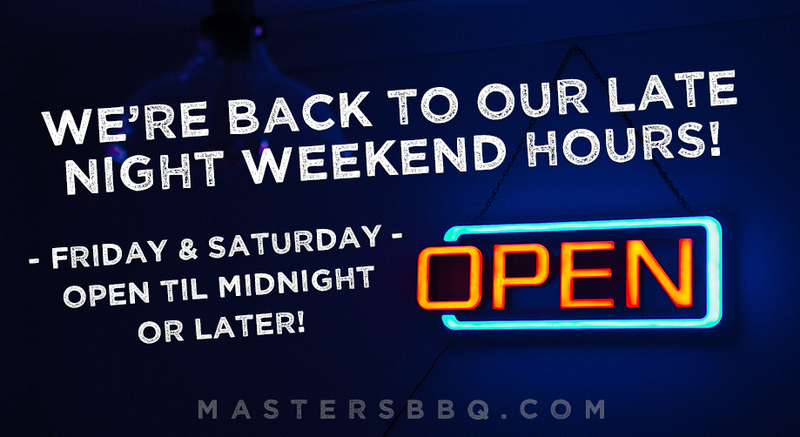 Master’s Barbecue is Hamburg’s #1 spot for the tastiest BBQ eats. 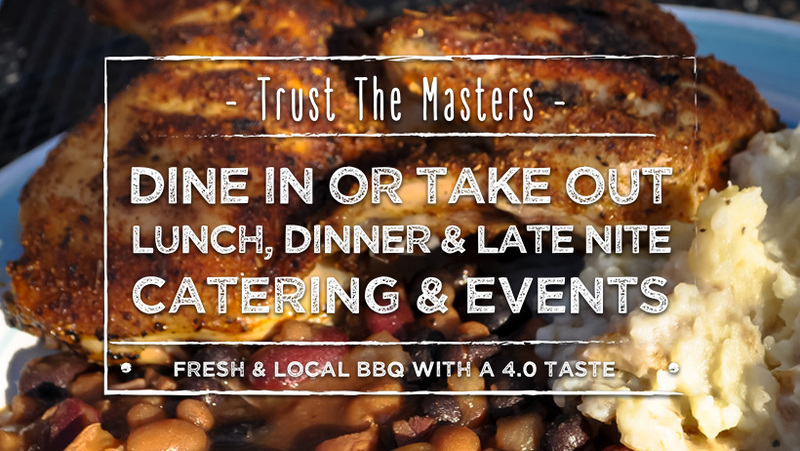 View our Menu, or stop in and one of our masters will cook up something special for you! See you on Buffalo Street! May be impacted seasonally, please call ahead to double check!